Okay, so far I have shared with you tips on teaching phonics to your kids and included how to know if your child is ready. I have also shared our tried and true resources that have helped such as phonics apps and books. Today I want to share with you a set of free letter sounds cards as well as few games to help you use them. To create these cards for your kids, you need a few things first. The printable itself is at the end of the post, just click the box that says CLICK TO GET YOUR DOWNLOAD. These cards were designed to be placed on a ring so that none of the cards get lost. I don’t know about you but if I don’t secure stuff with my kids- it tends to go missing when we need it the most. Then I am left scrambling and completely out of sorts. So take my dumb advice, secure these babies. Another thing to note is that the vowel cards are red and the consonant cards are gray. It helps to distinguish vowels from consonants. The letter sounds cards can be used in a number of ways. If you choose to laminate the cards for durability, allow your child to trace over each letter while saying the sounds. For example, while tracing Bb they can say /b/. Lay the vowel cards down and create a song that there are 5 vowels and sing their sounds. Just pick a tune and make it work. Name all the items on each card. Emphasize the beginning sounds. Make up silly sentences. Let your kids know that learning is fun! See if they can come up with another word for each letter sound that is not on the card. For example, the F card has fish, fire, and flowers. They could also say frog, fridge (my kids tend to say fridge and not refrigerator). See how many words they can add. Place a few cards on a desk or the floor. Call out a sound and let your kids smack it or stomp on the card. You can also call out a word and see if they can find the beginning sound. 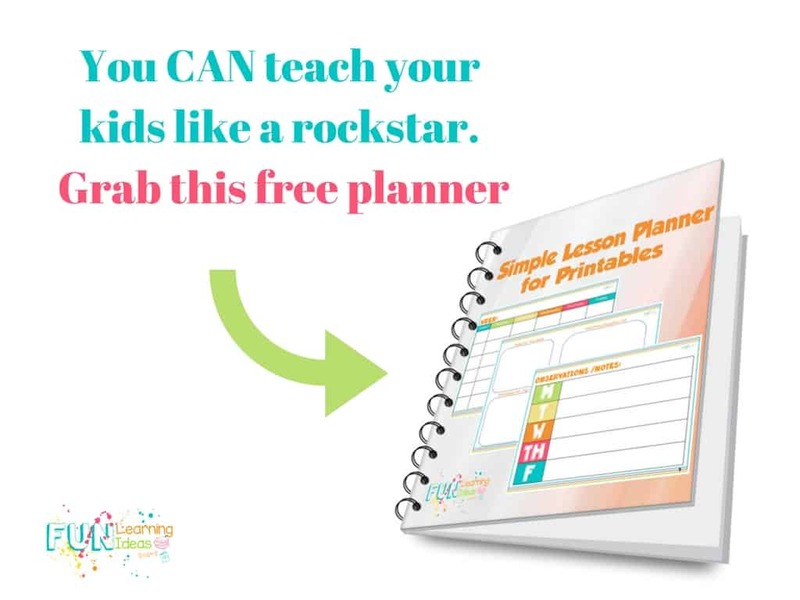 Don’t forget that if you are focusing on this skill, you can use a few of the letter sounds printables and activities and plan your lessons with the Free Simple Lesson Planner for Printables. 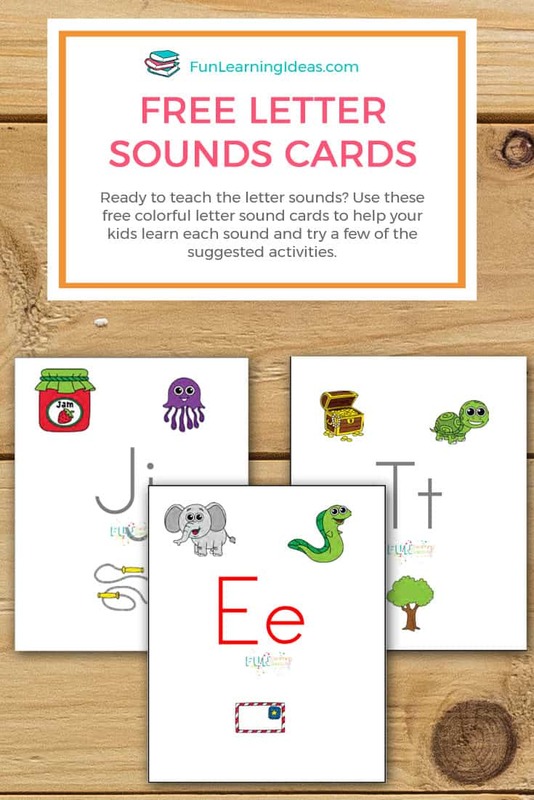 Okay, click the image below to grab your letter sound cards and start the learning fun! These are precious. I hope to use these for our homeschool preschool. Thank you! Thanks Christia and you’re welcome!